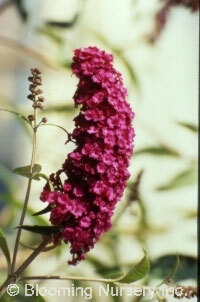 Long, fat spikes of rich royal purple adorn this beautiful shrub. Flowers are excellent for cut bouquets. A wonderful addition to the butterfly or hummingbird garden.